Vocal and Veena exercises are incorporated into each day to develop a deeper sense of sruti, svarasthanam and kalapramanam. 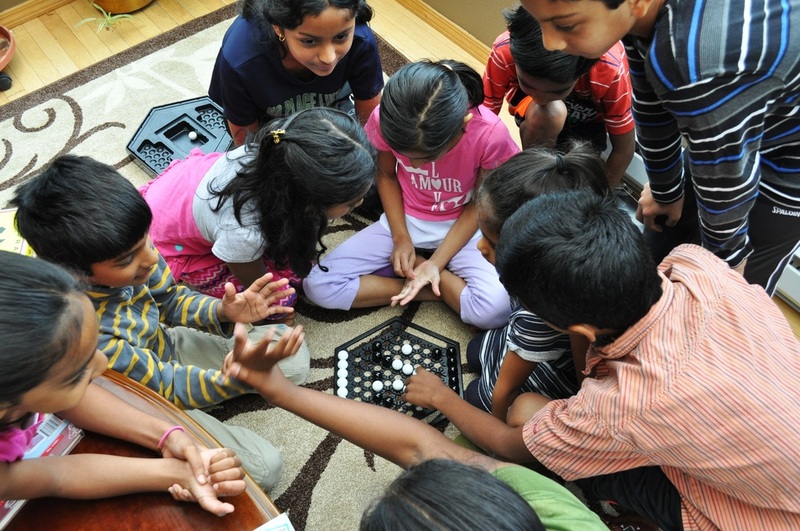 Free-form play time is interspersed to allow the children to absorb each practice session. 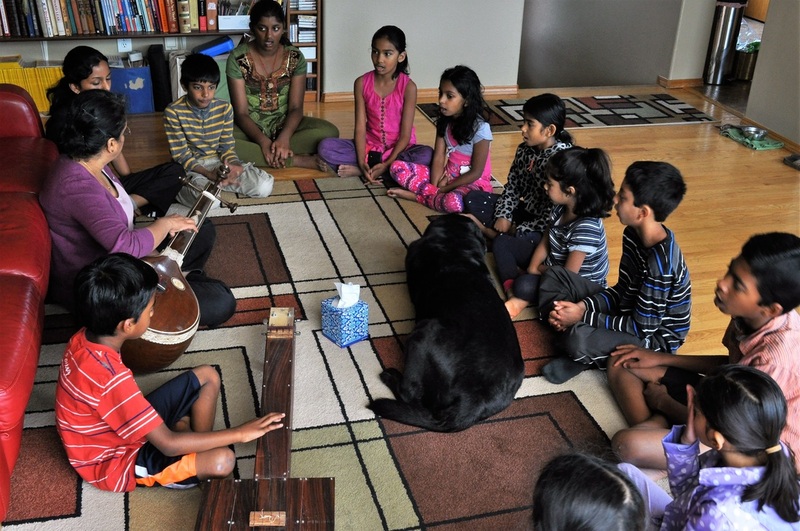 Children get exposure to playing the Tambura as they sing along. 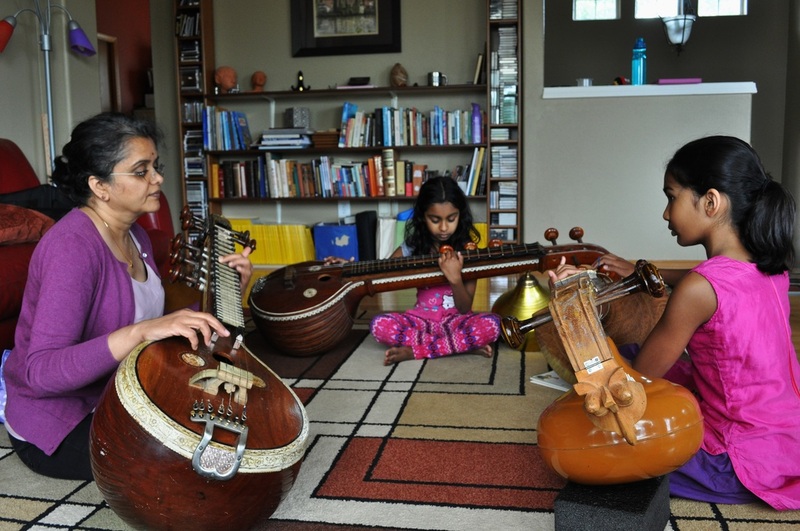 They will explore Veena playing to gain a better grasp of svarasthanam and ragam familiarity.